Transportation apps are making their presence felt in hospitals, in EHR workflows – and even in federal policy discussions – giving access to appropriate care its due as a key social determinant of health. Earlier this month, I received an interesting email. It was from an organization offering comment on the new Medicare Advantage rules. These emails are not unusual. Medical associations, provider organizations, policy think tanks, IT vendors and other industry stakeholders routinely weigh in on important federal healthcare regulations. But this statement was from Lyft, the ride-sharing service that – along with its close competitor, Uber – has upended ("disrupted" might be the preferred Silicon Valley term) the taxi industry and larger on-demand transportation market over the past five years or so. 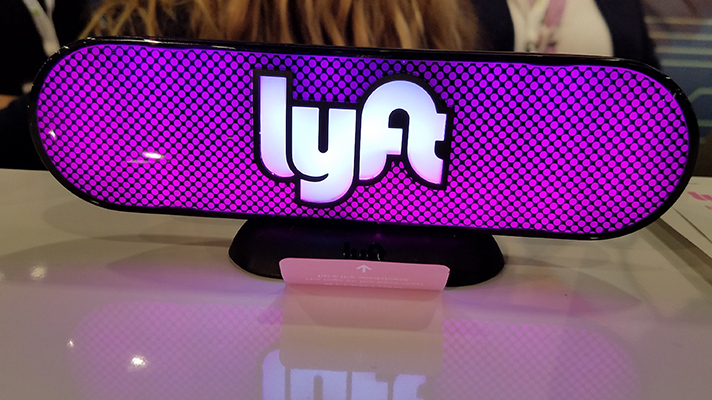 Lyft was commenting on a CMS rulemaking because its presence in healthcare is bigger than ever, as it continues to expand its plans to deploy a nationwide network of smartphone-connected drivers to help improve patients' access to care. "We are dedicated to improving the lives of seniors with the world's best transportation - whether providing rides to bring elderly passengers to and from health appointments, or providing transit solutions that enable increased independence and reduced isolation," said Laure Belive, Lyft's director of federal government relations, in response to the Medicare Advantage rules. "This guidance demonstrates how serious CMS is in giving health plans the tools they need to address the social determinants of health – of which transportation is foundational," she added. "This new flexibility will allow us to partner even more dynamically with MA plans, to not just help seniors suffering from chronic health conditions get to their health appointments, but to more broadly leverage our platform to remove transportation barriers, and encourage healthy and active living." Lyft has partnered with more than just Medicare Advantage plans of course. It has agreements with Sutter Physician Services in California and National Medtrans Network in New York to help patients get to and from non-emergency appointments (it services about 2,500 rides per week in NYC through the latter partnership). Uber has similar agreements in place with health systems such as MedStar Health in Washington, D.C., and LifeBridge Health in Baltimore. Lyft, meanwhile, recently set its sights on the long-term and post-acute care space, signing on to partner with Acuity Link, whose platform connects providers – not just ambulatory and acute settings, but skilled nursing facilities and nursing homes – with easily-scheduled transportation options, rather than having them rely on a taxi voucher systems. And, of course, Lyft also struck its first deal with a major health IT vendor this March, joining forces with Allscripts to integrate ride-hailing functionality into Allscripts Sunrise EHR, allowing some 180,000 physicians to call for patient transportation from within their clinical workflow. Not to be outdone, Uber that same month launched Uber Health, a new app and API that allows for participating providers – in addition to MedStar and LifeBridge, other organizations taking part in the beta test include Georgetown Home Care, NYU Perlmutter Cancer Center and Yale New Haven Health – to integrate ride-hailing capabilities into their own dashboards. All of this activity, of course, is happening as it becomes more obvious to all healthcare professionals that transportation is an essential social determinant of health – just as important as access to health food and fresh air. If the main goals of the Triple Aim are quality, cost and access, after all, the third item on that list can't be ignored. But today more than 3.6 million Americans have experienced transportation issues that prevented them from getting to the care they need, according to some estimates, and one in four lower-income patients have had to skip appointments because they didn't have a ride. "We know at our hospital that a 1 percent improvement in the no-show rate is a million dollars of revenue difference a year because of all the assets sitting around doing nothing," said David Higginson, chief information officer of Phoenix Children's Hospital. "At the same time, we have a three-month wait for some of our subspecialties – so more importantly we're wasting that opportunity to get the kids seen earlier on, with that built-in 20 percent of a no-show rate, which is what is usually going on," he said. "If you can solve that it is a huge problem, and a huge benefit for the patient." There are some skeptics. A study this past February in JAMA Internal Medicine tracked 800 Philadelphia Medicaid patients at two Penn Medicine primary care practices. The missed appointment rate for those who were offered a free Lyft ride was almost identical to that of those who weren't: 36.5 percent, versus 36.7 percent. "Transportation is often a barrier to care for many patients, but solutions that don’t address other barriers may not be enough to help patients get to doctor appointments," said the study's lead author, Krisda Chaiyachati, MD, a VA advanced fellow at Penn Medicine. "While it may be a negative finding, it’s an important one, because it can inform future efforts to help improve attendance rates and highlights the complexity of social barriers when caring for poor patients." Still addressing transportation as part of a larger challenge for patient engagement and population health is clearly a growing trend. Witness, for instance, Lyft joining with CVS and Walgreens to work with the Blue Cross Blue Shield Institute, a new BCBS subsidiary focused on ameliorating social determinants, to address the "ZIP code effect" – neighborhoods with inadequate transportation, pharmacy, nutrition, fitness and other health opportunities. But it's not just Lyft and Uber. Some major health systems are also starting to develop their own ride share programs, using homegrown transportation options in their local area. Geisinger, for instance, announced this spring that it partnered with rabbittransit – York County, Pennsylvania's mass transit service – to get patients to and from their doc appointments. More than 140,000 patients were no-shows across the Geisinger system in 2017. But the pilot won't just be focused on medical appointments – it will also offer people rides to the pharmacy to pick up prescriptions, even to the supermarket to stock up on healthy food. Allscripts CEO Paul Black said its important to start thinking about transportation challenges the same way healthcare providers think about nutrition challenges. "We all know about the concept of a nutrition desert," he said. "The same applies to transportation deserts. That same person often has no chance of making her own appointment or making her kids' appointments if she doesn't have access to transportation. All the unbelievably great infrastructure they could avail themselves of around healthcare, they just don't have access to it." That's why Allscripts' partnership with Lyft was such an obvious solution, he said – and why it was able to come together so quickly. "Us linking our registration and scheduling system to their dispatch system is a no-brainer," said Black. "And we're able to do that because it is an open API. It's not HL7, it's an open API that we're going to write." When a provider does their intake of a patient, they can inquire about transportation. If the patient doesn't have a ride, "you do a loop, schedule for a ride, and the ride is going to show up – even if you don't have a phone," he said. "Or, if you have a flip phone, I will text you that your ride is sitting outside," he added. "You don't have to call the Lyft, you don't have to see where the guy is or isn't. You have to go where those people are. And to me, that's going to be an important component." Black said the fruition of the Allscripts-Lyft deal happened in just two weeks: "We had been talking to them for a while, but we said let's get something announced at HIMSS18. And it only takes you two weeks to write an API from Sunrise to get in there. We haven't done TouchWorks yet, but it's not that hard." Beyond the obvious benefits – connecting patients with quality care – Black says he's excited about some other opportunities that could flow from partnerships like this one. "In some markets, you're actually seeing a decrease in the amount of ambulance usage," he said. "Which is really expensive – you get that bill and its $400 bucks. And also, by the way, you probably didn't need to go to the ED, it's just that you were sick and no one was around so you called 911 to take you in. "So this could train people to do something different," he added. "Just like you can be trained to have better nutrition, you can be trained not to call 911. You don't really need to go to the ED, you just need to see your doctor." He also likes the idea of it enabling better medication adherence, so providers "have the chance, on the way home, to at least get their first couple meds into their pocket for them." "In the Lyft, you should have an iPad, so you're doing the intake on the way in: You're sitting in the back of the car instead of waiting until you get there and starting the process in the waiting room," said Black. "The efficiency you could gain from this is fantastic. For most docs, two or three patients a day is the difference between making money and not making money. So if we can give them an additional 10 percent productivity improvement – if they usually see 20 per day, but see an extra two because of this – that helps pay the bills. And it's simple. It's just ridiculously simple. You don't get low-hanging fruit like that very often."